Welcome to our campground near Mt. Lassen, a fabulous place to play in the outdoors! 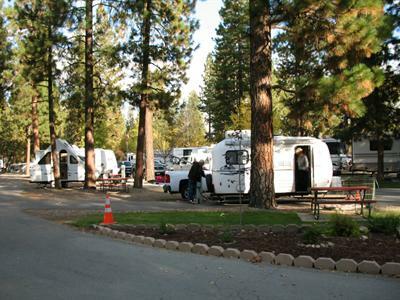 Set in the charming Gold Rush town of Quincy, California, Pioneer RV Park in Plumas County is a marvelous place for fishing, boating, and hiking. 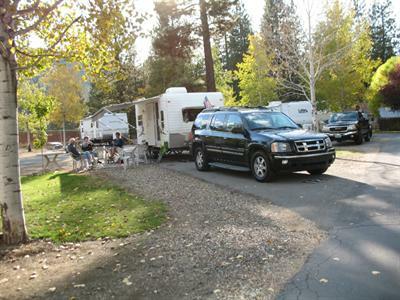 Use our online reservations system to plan your camping vacation with us today. From the heights of Mt. Lassen and the Lassen Volcanic National Park to exploring the quaint town of Graeagle, our area has plenty to see and explore. You can make a long day trip to Reno, Nevada, or stay close to home as you explore the stunning Feather River Canyon. You may even get lucky while gold panning in one of our streams! Spend a day hiking through the lush Plumas National Forest. Railroad buffs will enjoy spotting the highlights of the Union Pacific track: William's Loop and the Keddie Wye railroad bridge. You can join in the fun at the Plumas Sierra County Fair or catch a quiet moment of fishing and boating on Buck's Lake. 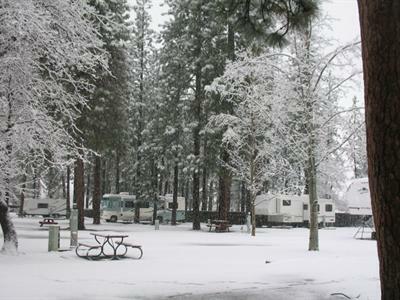 Whatever you choose to do, you'll treasure your stay at Pioneer RV Park. Arriving from the West on Hwy 70: Go 2 miles from downtown Quincy, turn left on Fairgrounds Rd. Go one block, turn right on Pioneer Rd. 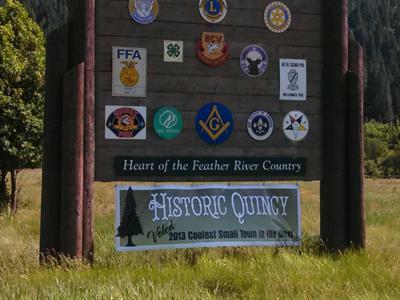 Arriving from the East on Hwy 70: Go 1.8 miles from Quincy city limit sign, turn right on Fairgrounds Rd. Go one block, turn right on Pioneer Rd. 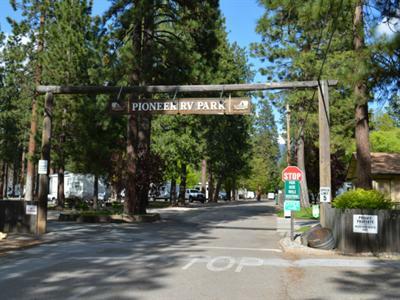 Pioneer RV in Quincy Ca (Sierra Nevada Mountains just north of Tahoe) is one of those unique places that does everything great, when most RV parks have trouble just doing a few things well. It starts with the great location and well kept park and delivers over an over again with service that is frankly 5 Star! We had several members of our reunion staying at the park and due to the lovely atmosphere and fantastic service we all spent most of our time there instead of the places we had planned to meet. Sites are long and wide enough so you don't feel you are camping on top of your neighbor. Clean and well cared for park. WIFI was not so good. Could not connect very often. Staff was wonderful. Couldn't be more pleased with their hospitality. Great clean park, hosts are very accommodating. From the initial contact with the owners of the park it was a very pleasurable experience. They along with their staff were always available for any questions or problems that occurred. All were friendly and tried to get to know their quest by stopping and talking with everyone. The facilities were clean and kept up. I was quite surprised by the parks appearance, friendly staff and how they made themselves available to us. A great experience and I will return.